community is pretty large, especially the pc. the game itself actively supports player co-operation they have community goals which are just large week long missions that have tangible results, the more people that get involved the higher the rewards. I helped the federation build some massive cruisers, netted me a nice 5-5 million. there is also a player created faction which was picked through "the dangerous games" I admit I wasn't involved in that so not sure how it went down. then their is the fuel rats, a group of players who are like the AA and run about refueling dead starships. happened to me once, stranded in a non-scoopable system, only option is to self destruct. searched online, found the fuel rats and within 5-10 minutes a guy called falcon had found me and refueled me, free of charge. 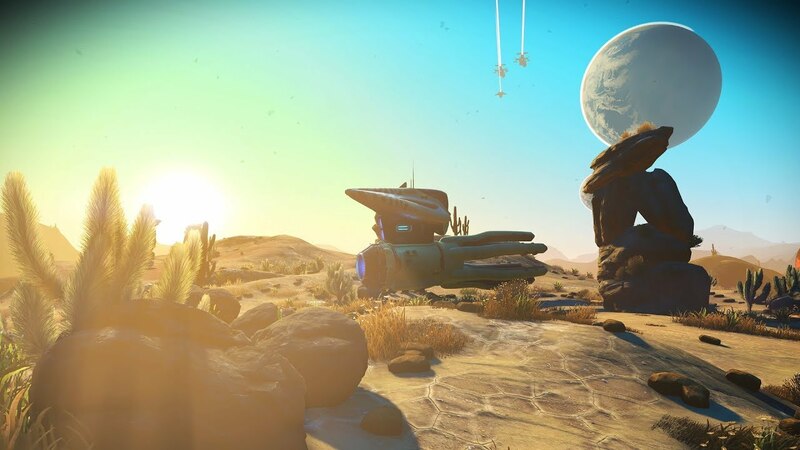 possibilities are endless, im the first to admit I don't fully exploit them as I like playin my own way but I don't see that co-op being possible in NMS yet, if ever. New update and looks really interesting. Yeah seem to be doing great things, think i might give this another go soon just to see what its like.